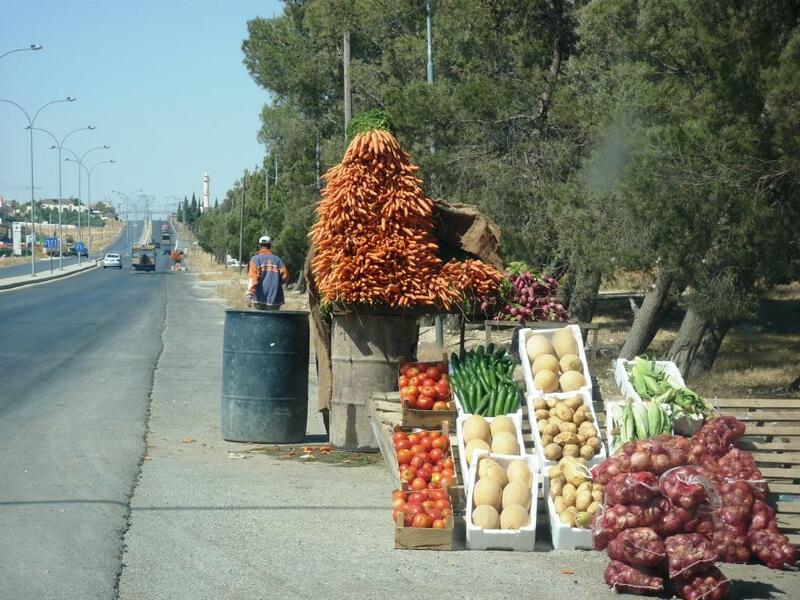 As promised, here is a picture of one of the carrot towers beside the road to Amman. Despite their store location, they are absolutely delicious. I have been warned about possible sicknesses that could be contracted from said produce but don’t believe in germs and have never had any issues, so they are alright in my book. Posted on May 29, 2010, in Jordan, Living Abroad. Bookmark the permalink. Leave a comment.